The security needs of the healthcare industry cannot be overstated. Keeping track of a large number of people in addition to protecting sensitive, expensive equipment and essential medicines are all high priorities. Key control and key management assist in keeping security concerns low and customer care quality high. Ensuring safe and accurate drug dispensing is essential in healthcare facilities. 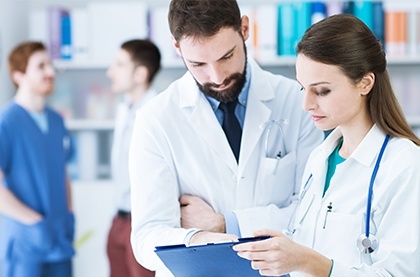 Key management systems help protect access to medicine storage and dispensing areas, including opiates and other highly controlled substances, while maintaining accurate records of who had access and when. Through key tracking notifications, management can be more certain that only authorized personnel have access to these materials within the healthcare facility. With healthcare fleets including ambulances and other rescue vehicles requiring efficient and speedy deployment, it’s crucial that keys get into the hands of drivers quickly and are protected against theft between runs. It’s time-consuming and expensive to replace today’s intelligent vehicle ignition keys, and often requires a rekeying of the vehicle itself, which results in unaffordable downtime and cost. Key management ensures that only the vehicle drivers can access the fleet keys, and can provide notifications when keys are removed and replaced. Healthcare requires the use of a great deal of expensive and delicate equipment. Key management ensures that only authorized technicians have access to hazardous areas like x-ray and radiation treatment rooms, and protects the facility from liability with notifications when keys are removed. Installing a key management system lowers the risk of having to replace costly equipment and protects facilities from liability if this equipment is damaged or an unauthorized individual is injured. 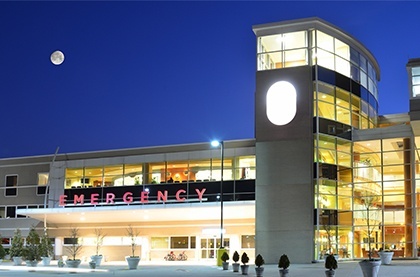 Hospitals, nursing homes, and other healthcare facilities are often expansive campuses with multiple wards and buildings, each with different staff and equipment. Access permissions for these areas need to be precisely controlled, and this is easily manageable with key control systems. Key management is configurable for any variety of access needs per user, and can be set up to be used with PIN codes, ID or proximity card readers, or biometric recognition to meet appropriate authentication levels. Doctors, nurses and other healthcare staff often need to secure belongings, both personal and company-owned, before entering sterile or hazardous areas. Healthcare facilities can keep track of crucial mobile equipment by installing asset management to augment their storage systems. By installing key management systems, users can ensure that their belongings are only accessed by themselves or other permitted users, and they are notified if other access is attempted. Implementing a key control and management system can benefit hospitals and healthcare facilities in many ways, helping them maintain focus on what matters most. Case Study: Bell Ambulance Company Boosts Security and Reduces Costs with Advanced Key Management Solution – read more.